Fino al 3 Febbraio, -10% applicato in fattura. For all purchases, ultill 3 February, -10% discount will be applied on the final invoice. Coins 43 M. Cato. 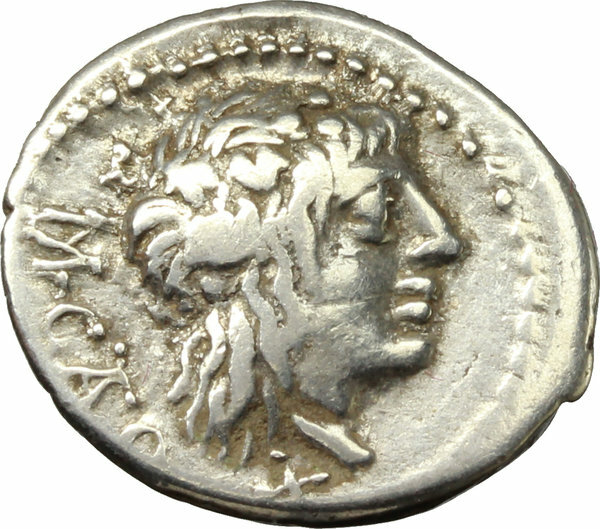 AR Quinarius, 89 AD. 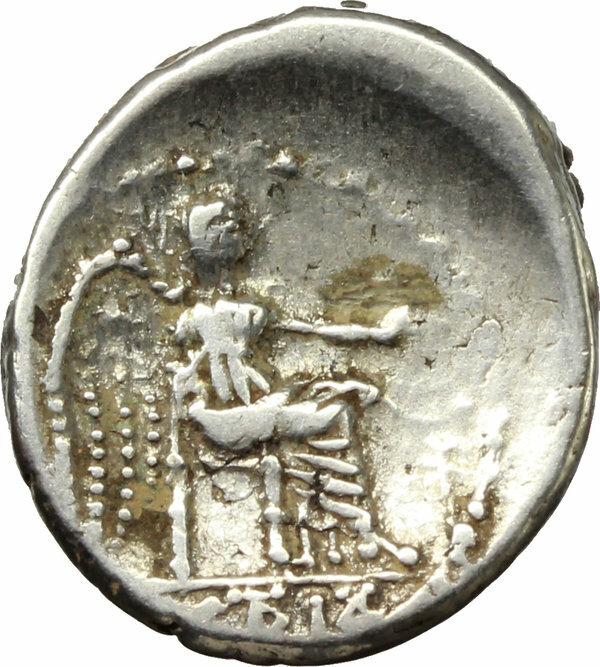 D/ Young head right, crowned with ivy wreath, hair long; behind, M. CATO; below, X. R/ Victory seated right, holding patera and palm branch; in exergue, VICTRIX. Cr. 343/2b. B. (Porcia) 7. AR. g. 2.27 mm. 14.00 Great metal. Struck on a exceptionally overweight flan, brilliant and lightly toned. VF.